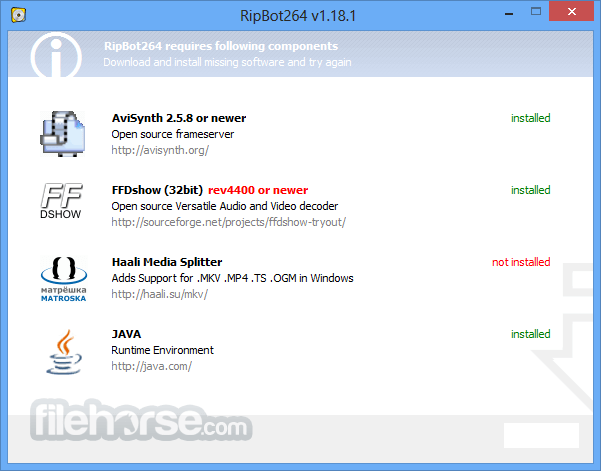 RipBot264 is a an easy to use All-In-One Converter for Windows PC. Convert from DVD, Blu-ray or any video to iPod, iPad, PSP, PS3, XBOX360, PC, MAC, MP4, MKV, Blu-ray or AVCHD without exotic filters and unnecessary settings. 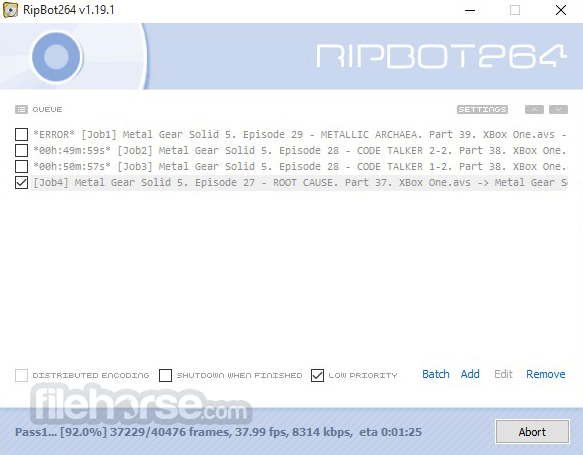 RipBot264 is a helpful and advantageous software that was created to permit you to change over your video documents to an assortment of organizations rapidly and effortlessly so you can bring them with you and watch them wherever you go. Since the application bolsters the most prevalent video documents available, a brisk transformation ought to permit you to play your recordings on the greater part of the most mainstream gadgets. The interface is so natural to explore and utilize that even an essential client won't have any issues and regardless of the possibility that they do, there's a convenient guide included to help with the entire procedure. In case you're hoping to accomplish more than simply change over your recordings, there's additionally a propelled choice. Note: Use 7-Zip to unpack the archive.